New 3D Facility – The new explorer brings selecting the correct matting for your environment to life. Enter a sector and search around to see what type of matting is used where. Improved Decision Tree – A smoother experience allows you to quickly find the matting to meet your requirements. Design improvements – We have refined all the screen designs to make the user experience more pleasing. 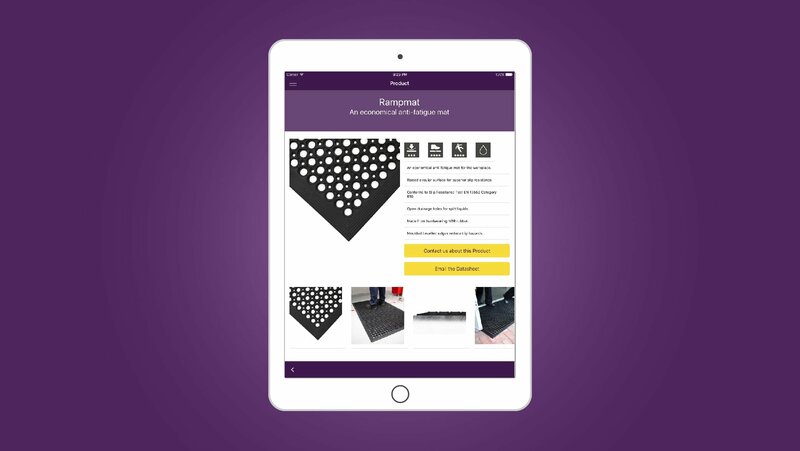 Sample Requests – You can now request samples of all our products from within the app. The app also provides the user with detailed technical specifications to ensure that they have all the information they need instantly. Furthermore, the app provides the user with the option of emailing their chosen product’s datasheet to themselves or their client, for ease of access. The user is also able to contact COBA Europe directly through the app, if further support is needed. Floor-level safety is a priority for us, and so we have worked hard to ensure that the app is not only easy to use but covers all major purchasing considerations. 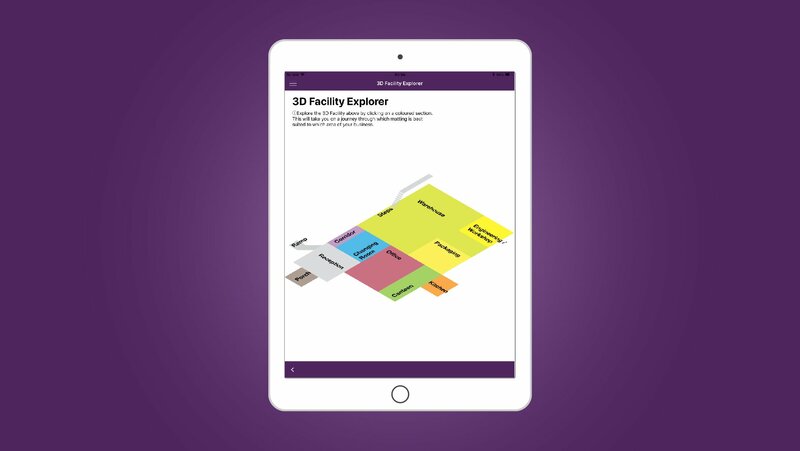 The 3D facility explorer feature allows the user to quickly see where our solutions fit into a regular workplace. It takes the user through a number of different areas from reception, through to office, and on to production and even catering environments. As a market leader in floor level safety, COBA is the first company to develop such an app at this time. We are always looking for ways to make the lives of our customers and end users easier, more productive, and most importantly safer.